New Rochelle, NY, January 7, 2019-An important new article reviews recently discovered properties of adenosine A2A receptor-dopamine D2 receptor (A2AR-D2R) and adenosine A1 receptor-dopamine D1 receptor (A1R-D1R) heteromers–both of which are main targets for caffeine–and discusses the therapeutic implications of these findings. Preclinical evidence is reviewed which indicates that caffeine and selective A2AR antagonists could be used to treat the motivational symptoms of depression as well as cognitive and emotional impairments in attention-deficit/hyperactivity disorder. In addition, new research suggests that the A1R-D1R heteromer, which modulates the excitability of the spinal motoneuron, could be targeted by A1R antagonists to therapeutic effect in spinal cord injury. Caffeine and selective adenosine receptor antagonists as potential new therapeutic tools are discussed in an article published in Journal of Caffeine and Adenosine Research, a peer-reviewed journal from Mary Ann Liebert, Inc., publishers. 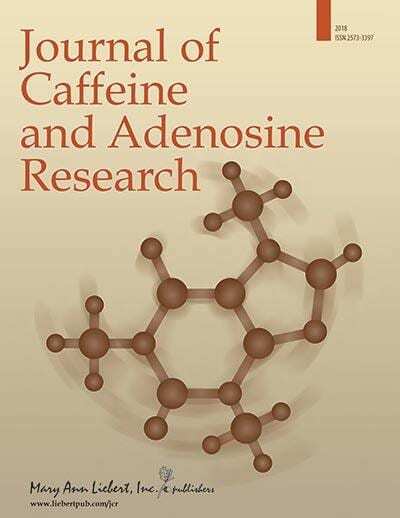 Click here to read the article free on the Journal of Caffeine and Adenosine Research website.